In the 80’s there was a lot of red, white and black, bold patterns were the go, like dynamic diagonal zig zags (in our bedroom anyway). Then next stage in the wallpaper story, was the split layout. So the bottom half of the wall was cover in a bold pattern (say maybe a wide stripe) the top half was covered in a simpler, plainer contrasting paper (probably in a matching colour palette). The join of these two was then covered with a daido strip of wallpaper again matching the colour palate. And then wallpaper just seemed to fall into obscurity and people stated to opt for just painting walls instead. Ok so the above does not exactly make wallpaper sounds appealing but that’s just how people decorated in the late 70’s, 80’s and 90’s. 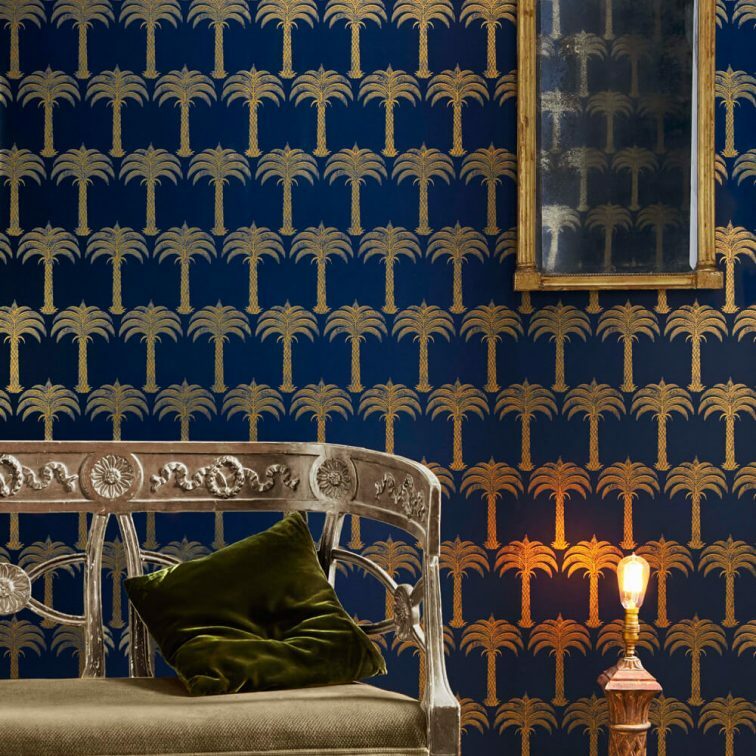 But in the last few years, wallpaper has made a come-back. It has not quite hit fever pitch here in Australia just yet but it is on the increase. A good indicator of this is hardware giant Bunnings (always a little behind on the trends) now has a selection, albeit small and probably not the best designs either, but it’s a start. I love wallpaper, it is pretty useful stuff. It can cover up bad patch-up jobs on walls, add a splash of colour and pattern to a space and although tricky to hang on first attempts it is a great way to change up a space. The choice available now is huge, with many designers like Matthew Williamson, Kelly Wearstler bringing out their own ranges. 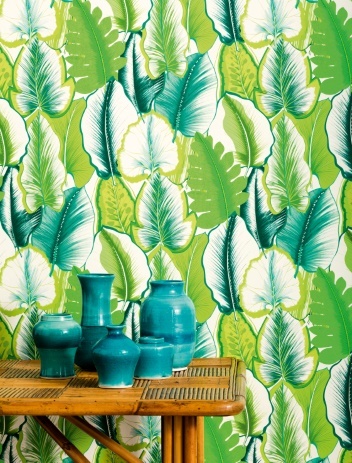 If you after a theme for a space, like tropical, mid-century or art deco glam there is a design to suit. ‘City Tolie’ in Ebony from Rifle Paper Co.
Wanna see more?? then check out my growing collection here on pinterest. Like I said wallpaper is on the increase here in Australia, so if you are curious to see what’s on offer, here is a list of suppliers / designers catering to our shores. ‹ PreviousA Vintage Shopping Spree – Everyone should have one.